An ‘incredibly complicated process’ led the world’s largest social media company to connect in Greater Omaha. All those "likes" on Facebook have to go somewhere. Increasingly, the world's largest social media company is routing them to the plains of Nebraska. When California-based Facebook announced in March that it would increase its investment into its sprawling data center campus in Sarpy County, Nebraska, to more than $1 billion and 2.6 million sq. ft. (241,540 sq. m.), the news was received in Greater Omaha with open arms. "Facebook looking at our area has brought more interest to the region," says Tim O'Brien, economic development manager for Omaha Public Power District (OPPD). "This was the result of partnerships and a long-term strategy of targeting data centers. It goes back to 2007 when we knew we needed to make changes to our tax climate. It was a real collective effort." Facebook spokesperson Melanie Roe concurs. "The Papillion location checks off many of the criteria we look for when analyzing locations for data centers, including excellent access to fiber, as well as good water and sewer infrastructure," she says of the expanded project. "Facebook is committed to utilizing renewable energy resources, and we developed a great solution with Omaha Public Power District to meet those needs. The area offers a strong pool of talent for both construction and operations staff, and a great set of community partners." The expansion will take the Facebook complex from two to six data hall buildings and cross Nebraska Highway 50 to encompass 290 acres (117 hectares). Facebook currently occupies about 1 million sq. ft. (92,900 sq. m.) on 144 acres (58 hectares) in Papillion — development that is valued at about $435 million. Wind played a central role in the deal, as Facebook purchases wind power from OPPD, which in turn buys it from the Rattlesnake Creek Wind Project in Dixon County. When all is said and done, Facebook will increase its annual power purchase from 200 megawatts to 320 megawatts. By nearly tripling in size, the 14-year-old Menlo Park, California–based firm with over $40 billion in annual revenues will be able to support 2.1 billion Facebook users worldwide, the company said. "It was an easy decision to expand in Papillion," said Jim Piazza, Facebook's director of data center operations east. While the final decision may have been easy, Facebook's Roe says the site selection process is not. "We're always evaluating potential new sites as we expand our infrastructure," she says. "Deciding where to locate a facility like this is an incredibly complicated process that involves balancing dozens of different criteria. Ongoing evaluation of a location and conversations with local officials can range from months to years. Oftentimes the decision comes down to a tough choice between two or three very good options, but announcements of new sites do not foreclose on other options in the future." The expansion means that a lot more people will be working in Nebraska. More than 1,000 construction workers are already on site each day building the complex, and thousands more will be needed to finish the job. Upon completion, hundreds of permanent jobs will be created to staff the various facilities and operations. Incentives helped make the deal possible, various parties reported. "A business-oriented tax environment is important, but it's only one part of the kind of broader partnership we need with the local community to make the project successful," says Roe. A state with the third lowest amount of bonded obligations per capita can afford to be generous with data center investors. The American Legislative Exchange Council says that only Wyoming and Indiana have lower bond obligations, and the Mercatus Center ranks Nebraska as having the best fiscal condition in the country. Mary Plettner, economic development manager for Nebraska Public Power District, says the data center sector will continue to grow because of several factors. "With Nebraska's central location, power grid reliability, redundant fiber and a business-friendly atmosphere, interest in Nebraska continues to grow in this industry," she says. "NPPD's economic development rate gives eligible customers discounted energy prices for up to five years. Qualified projects could see rates fall in the range of 3.7 to 5.0 cents per kilowatt-hour. This rate is ideally suited to data center operations." David Rippe, director of the Nebraska Department of Economic Development, says the state incentivizes data centers through the Nebraska Advantage program. "Our state has created a tax environment that rewards those investments with a special tier within our tax system," he says. "We encourage data center development through a 10-percent investment credit, a personal property tax incentive and a wage tax credit. We are positioned competitively to win these projects." O'Brien of OPPD adds that "the Nebraska Advantage program has been tweaked twice since 2005 specifically for data center activity. It first helped us land Yahoo in 2008. Another change was made in 2012 to land Fidelity and later Travelers and Facebook. More data center projects are in the pipeline. Facebook has announced four or five more sites around the country." 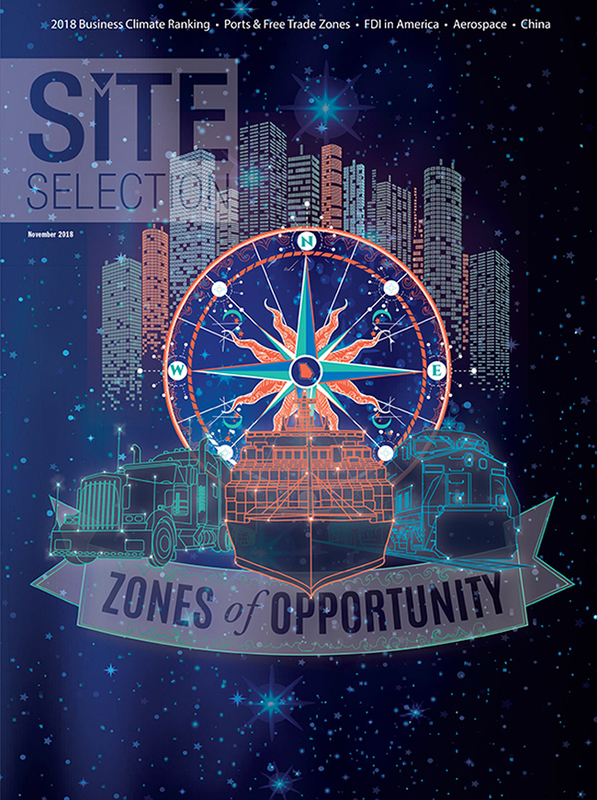 Roe elaborated on that site selection binge, noting that "we have announced data centers in the following locations: Prineville, Oregon; Forest City, North Carolina; Lulea, Sweden; Altoona, Iowa; Fort Worth, Texas; Clonee, Ireland; Los Lunas, New Mexico; Odense, Denmark; Papillion, Nebraska; New Albany, Ohio; Henrico County, Virginia [see p. 154]; Newton, Georgia; Eagle Mountain, Utah; Huntsville, Alabama; and Singapore." Any way you tally it, that's a lot of ones and zeroes — with a few commas thrown in.